Sprint Cup: Kenseth Creeps Into Contention. Matt Kenseth is a modern man’s Terry Labonte: cool, calm, collected under pressure. Kenseth, like Texas Terry used to be the model of consistency, top 10ing his way to a championship in 2003 while making surviving bad days the hallmark of his driving style. 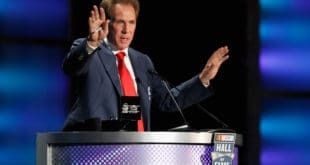 Now, over a decade later he’s divorced from his first team, happily remarried in NASCAR and has a different way of putting up points with his Joe Gibbs Racing No. 20: trips to Victory Lane. Will he match Terry’s resume and record a second championship run 12 years after his first? Like Labonte, who experienced a renaissance after getting picked up by powerhouse Hendrick Motorsports Mr. Kenseth is doing the same over at JGR. 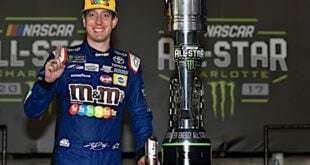 Quietly, while the stories there have revolved around Kyle Busch’s miraculous recovery, Denny Hamlin’s injury and Carl Edwards’ arrival it’s Kenseth who enters this Chase the strongest. Turning Richmond into a rout, Kenseth led 352 of 400 laps and was never seriously challenged en route to his third win in just over a month. Aside from a controversial final restart, one that appeared to be a direct result of win-or-else Chase bubble driver Aric Almirola directly behind him there was no point whatsoever where Kenseth lost control of the race. 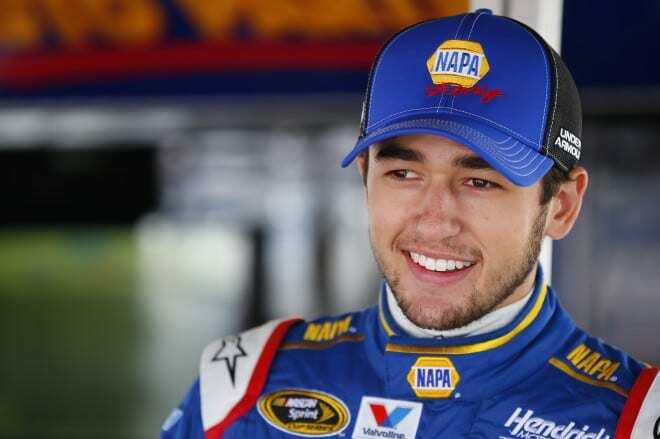 XFINITY: Chase Elliott Finally Ends Winless Streak – It had been quite a while since Chase Elliott visited Victory Lane. 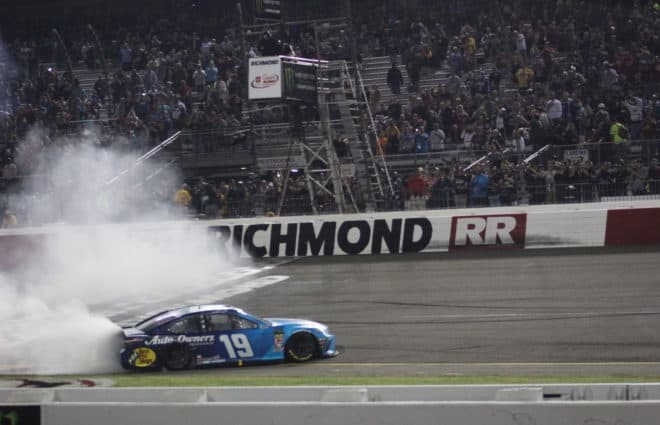 The 19-year-old had been on a winless streak for over a year, but that ended on Friday evening at Richmond, edging out several Cup stars to win his first race of 2015. The victory shrinks Chris Buescher’s championship lead to 21 points with a handful of events left in the season. 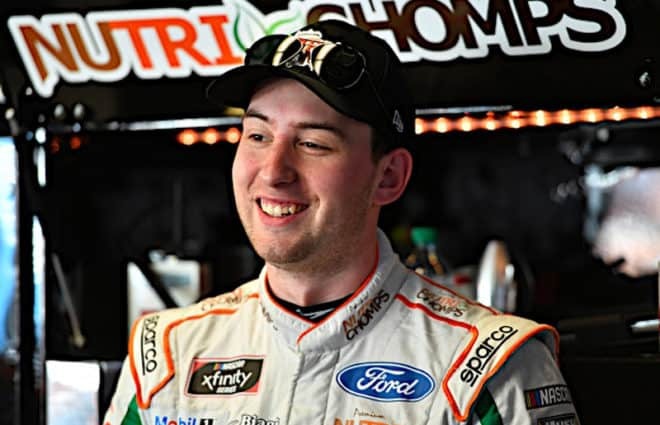 As Elliott heats up, he is looking to capture his second straight title in the XFINITY Series. However, the 21-point margin is still rather large, and it will take at least a few more top fives to win the title. NHRA: Nitro Stars Make the Media Tour Rounds: Six of the NHRA Countdown contenders will hit the road this week to visit the six cities that will host races in the Mello Yello Series playoffs. The drivers will provide a preview of the 2015 NHRA Mello Yello Countdown to the Championship and will participate in media interviews with television, newspaper and radio stations, pose for photos at the tracks and local landmarks and participate in social media events in their assigned cities. Funny Car driver John Force will visit Charlotte, NC, where the playoffs open at the Carolina Nationals next weekend. Richie Crampton is heading to St. Louis, site of the second round of the championship, the AAA Insurance NHRA Midwest Nationals Sept. 25-27, while J.R. Todd will go to Reading, PA, where the third round takes place, the NHRA Keystone Nationals, on Oct. 1-4. Cruz Pedregon is off to Dallas, site of round four of the Countdown, the AAA Texas NHRA Fallnationals on Oct. 15-18. Brittany Force gets to visit Las Vegas, site of the second-to-last event, the NHRA Toyota Nationals, Oct. 29-Nov. 1. Current Funny Car points leader Jack Beckman gets to visit Los Angeles, host of the season-ending Auto Club NHRA Finals at Pomona Nov. 12-15. Sports Cars: Pirelli World Challenge Crowns Champions – This past weekend, while much of the stock car community was focused on the tripleheader at Richmond International Raceway (Sprint Cup, XFINITY and K&N Pro Series East), California’s Mazda Raceway Laguna Seca played host to the final race weekend of the year for Pirelli World Challenge. Championships in all seven divisions were up for grabs. GT saw Cadillac’s Johnny O’Connell win his fourth consecutive title, but it was by no means easy as he had contact while racing for third with chief rival Olivier Beretta. O’Connell dropped to 14th, but later recovered to finish 12th. Beretta was penalized for the contact, dropped back through the field and later retired. 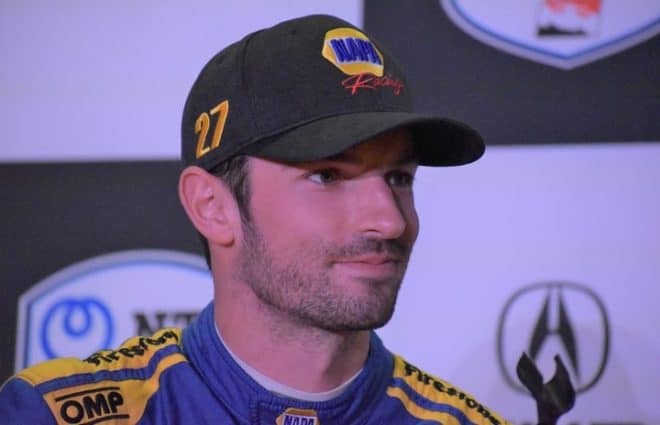 In the final race of the season, NGT Motorsport brought in a couple of “ringers” for the weekend in 2013 Rolex Sports Car Series GT Champion Alessandro Balzan and Alessandro Pier Guidi to replace the Cisneros brothers (Eduardo and Henrique). The ringers proceeded to dominate the weekend by qualifying 1-2 (Pier Guidi on pole with a track record) and finishing 1-2 with Balzan taking the win. GTA saw Eric Lux claim the class victory from pole in his Mercedes AMG SLS-GT3, while Frankie Montecalvo had already clinched the class title in his similar No. 66 Mercedes. Colin Thompson won the GT Cup class, putting another feather in his cap while dominating the GT Cup championship. Part-timer Kris Wilson won the standalone GTS race for TRG-Aston Martin Racing, his fifth win of the year. Michael Cooper, driving the No. 10 Chevrolet Camaro for Blackdog Speed Shop, finished tenth and claimed the GTS championship. 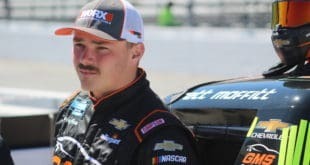 Short Tracks: Eldora Brings a Familiar Story – Jonathan Davenport and Scott Bloomquist have been setting the Dirt Late Model ranks on fire in recent months, and the World 100 weekend at Eldora Speedway was no different. After Davenport went on a tear in the summer months, it has been Bloomquist mainly that has taken home most of the trophies lately. Bloomquist started from the pole during Saturday night’s A-Main event, but was passed early by Jared Landers. Further back it was Davenport, already a winner of the Dirt Late Model Dream with a $100,000 payday back in June, who was picking off one competitor after another from the 18th starting position. With less than half of the laps remaining, Davenport caught and passed Landers for an additional $48,000 payout and win. NASCAR Camping World Truck Series Eldora runner up Bobby Pierce finished second with Bloomquist behind them in third. Elsewhere, touring series are inching closer to deciding their 2015 champions. 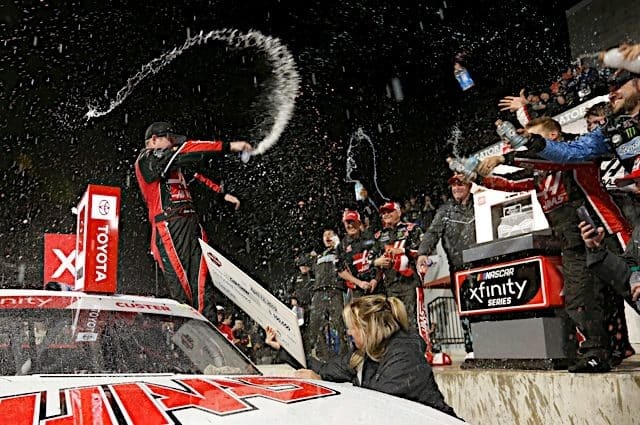 At Montgomery Motor Speedway in Alabama, defending NASCAR Xfinity Series champion Chase Elliott stopped by and won the Southern Super Series penultimate race. 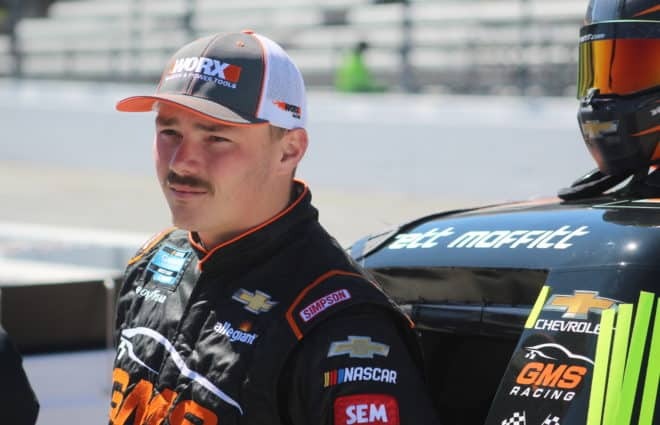 Following a seventh place finish in the Alabama 200, Texan Casey Smith enjoys a comfortable advantage over Donnie Wilson in the points chase as he looks for his first series title heading into the finale at Five Flags Speedway in Pensacola, Florida in less than two weeks.